Fundraising and development impacts the daily operations and future sustainability of not-for-profits, either in a positive or negative fashion. NFP leaders need to effectively harness the power of the philanthropic community to allow them to fully achieve their vision and mission. To achieve this their organisations must become more donor-centric. We see a lot of NFPs trying to improve in this area but without support and relevant tools the good intent is lost. We have developed a suite of fundraising and development tools and strategies based on the latest in fundraising theory and practice to help your organisation instil a donor-centric culture and attract more philanthropic support. We have successfully conducted multi-million dollar fundraising campaigns for educational institutions and not-for-profits and have the professional experience and qualifications to excel in this field. Donorcentricity supports comprehensive, capital and single purpose campaigns for not-for-profits, universities, faculties, centres, foundations, schools, museums, art galleries, hospitals, institutes and more. You will receive the expert level of support you need to review development and fundraising operations, identify prospects, conduct feasibility studies, generate strategic and operational fundraising plans, recruit campaign leaders, project manage special events, create campaign collateral, and to properly resource and implement effective campaigns. We are strong advocates of a donor-centric approach to fundraising, placing the donor at the centre of an organisation's focus along with its beneficiaries, and opening up communication channels with donors to achieve deep and long term relationships. This approach is reflected in our campaign planning and implementation strategies. 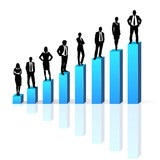 Our flexible terms of engagement includes the option of our training and mentoring your own staff through the campaign process, recruiting in talent if you need it as your own staff, providing our own resource as consultants, or coordinating with specialist associates regarded as among the best in their field. Whatever your preferred solution, you will receive professional and affordable support to achieve a successful outcome. Before embarking on a major project such as a capital fundraising campaign, major donor fundraising campaign or similar, many organisations benefit from conducting a 'Feasibility Study', sometimes called a 'Community Consultation Study'. The study helps to test and refine the campaign strategy and materials, and is often viewed as a crucial first step in a campaign because it helps to identify and qualify potential major donors. A feasibility study is also an important donor-centric strategy, it encourages existing and potential donors to help shape a proposed initiative and fosters a sense of ownership. Indeed, it is helpful to view a feasibility study as the first phase of a campaign, not as a stand-alone research exercise. We will work with you to identify and invite potential participants in the study, design a questionnaire to obtain the critical information needed to embark on a fundraising campaign with confidence, conduct the interviews, collate the data, write and present the Feasibility Study Report and provide concrete recommendations about the next steps to prepare and execute a successful campaign. A capital fundraising campaign was defined by Henry A. "Hank" Rosso, a leading figure in the development of the discipline of fundraising, as seeking: "to raise a specified sum of money within a defined time period to meet the varied asset-building needs of the organisation." Traditionally viewed as an exercise to raise funds towards "bricks and mortar" type projects, capital fundraising campaigns are also used to raise funds to create endowments, launch or expand services, cover an organisation's shortfall in funding, etc. 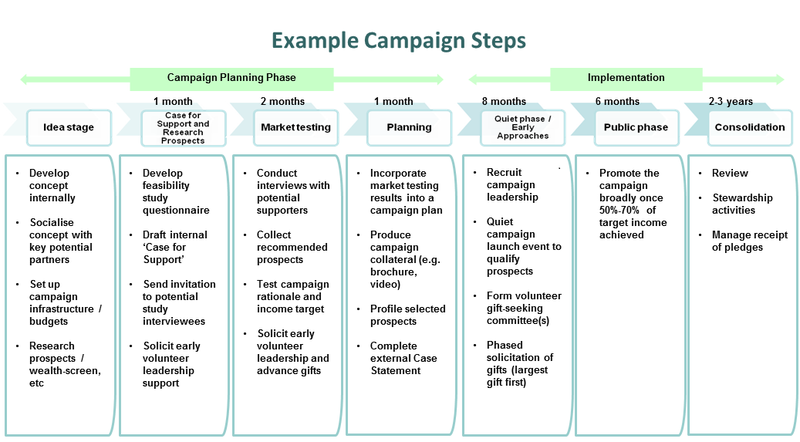 These campaigns can be stand-alone or integrated with a not-for-profits' annual fundraising calendar of activities. A capital fundraising campaign is a major undertaking and when conducted carefully and strategically can profoundly influence a not-for-profit's financial status, scope of operations and future. As a major fundraising initiative, a capital fundraising campaign can and should have a transformational impact on an organisation, its culture and stakeholders. These campaigns can also be a very powerful change management tool when designed strategically to achieve organisational development objectives. Donorcentricity offers professional fundraising counsel to plan and implement capital fundraising campaigns. We will work with you to design a realistic and effective campaign to achieve your mission objectives.